NASA’s Ice, Cloud and land Elevation satellite (ICESat), which for seven years gathered data about ice sheets and sea ice at Earth’s poles, was guided out of orbit and plunged into the Barents Sea on Aug. 30, the agency reported. NASA launched ICESat in January 2003 as the first mission dedicated to specifically studying the polar regions using a space-based laser altimeter. It was intended to transmit data for only five years. However, ICESat’s lasers lasted until February. Flight controllers started lowering its orbit in June until it reached 200 km (125 miles) above the Earth. At that point, its orbit naturally lowered until it mostly burned up on re-entry into the Earth’s atmosphere with the few remaining chunks landing in the Barents Sea. The satellite has helped scientists better measure changes in the mass of the ice sheets in Antarctica and Greenland, sea ice thickness at both poles, vegetation height and the height of clouds and aerosols. In the Arctic, for example, researchers used ICESat to watch as thin, seasonal sea ice replaced thick, older sea ice. In Antarctica, scientists were able to identify the network of lakes underneath the ice sheet that actively drain or fill. 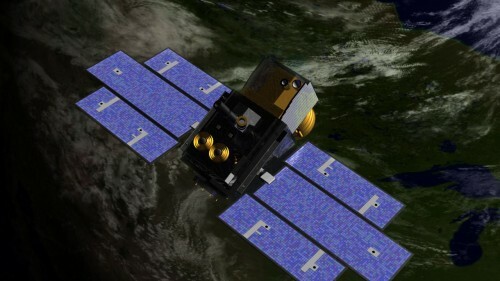 NASA has begun designing ICESat-2, which it intends to launch in late 2015. In the meantime, the agency’s Operation Ice Bridge has been underway since last year to bridge the gap in polar data in between ICESat missions. Operation Ice Bridge uses NASA aircraft to target areas of rapid change at either pole to get 3-D views of ice sheets, ice shelves and sea ice. It’s the largest ever aircraft-based survey of Earth’s polar ice.